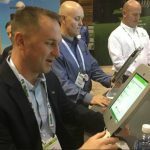 What trade show giveaways are working best now? What do exhibitors seek when selecting giveaways? What value do giveaways bring exhibitors? Whether you call them premiums, swag, tchotchkes, or simply gifts, giveaways are as ubiquitous at trade shows as aisle carpet, banner stands, and lanyards. But just because trade show giveaways are everywhere doesn’t mean they are being used to their full potential. Use our survey insights to get more from your trade show giveaways. Exhibitors were given in the survey the choice of 7 strategic uses of trade show giveaways. At 36%, the third-most popular giveaway strategy was, “We offer valuable giveaways to get more traffic, but require attendees to provide info or watch a demo to get them.” All three of the exhibit quotes above that have multiple levels of giveaways also require some interaction for the higher levels. At 33%, the fourth-most popular giveaway strategy was, “We bring one kind of low-cost branded giveaway and want as many people as possible to get them.” This is almost the same number of people who chose the exact opposite strategy as the #2, choice, raffling off a single high value giveaway! 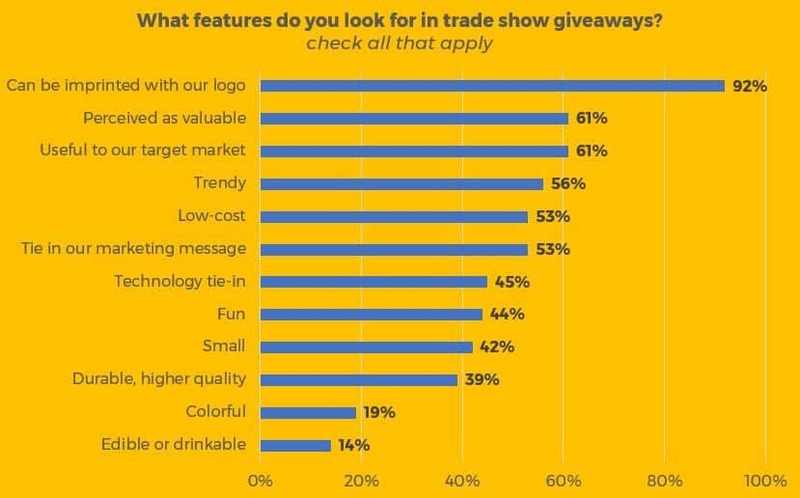 We asked exhibitors to indicate which of 12 potential features did they want when choosing their trade show giveaways. By far and away, at 92% of exhibitors agreeing, the most popular feature was, “Can be imprinted with our logo.” This most-desired feature has kept a huge custom-imprinted giveaway industry very busy! At 56%, the fourth most popular trade show giveaway feature was, “Trendy.” Exhibitors want something new that attendees haven’t already bought for themselves. Exhibitors who answered the question, “What was this year’s most successful trade show giveaway for you?”, had many replies, some duplicated. More than one exhibitor favored stuffed toys, hats, Yeti mugs, T-shirts, and electric fans. 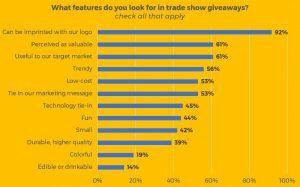 In our survey about exhibitors’ perception of trade show giveaways, their responses were overwhelmingly positive. They agreed far more with potential benefits than disadvantages. 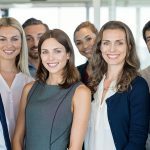 At 75%, the second-most agreed upon reason is that “Trade show giveaways help booth staffers start conversations.” This is a surprisingly overlooked benefit of giveaways. 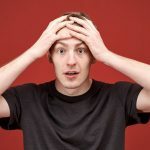 Think about all your shy booth staffers needing help getting a dialog going. Trade show giveaways can be their security blanket! Trade show giveaways are an essential part of most exhibitors’ exhibit marketing. Trade show giveaways help attendees remember their brands post-show, and help exhibitors drive booth traffic and start conversations. Popular giveaways are imprinted with the exhibitors’ logos, are useful, valuable, and tie into their marketing messages. 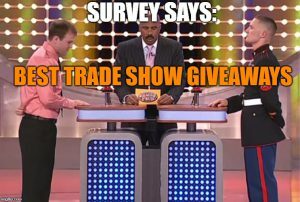 I hope you’ve been inspired by this survey report to make changes for the better with your trade show giveaways. You might consider how our Virtual Prize Wheel boosts your trade show giveaways’ impact. 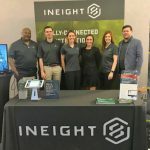 If you’d like to see more about how you can drive more booth traffic and capture leads with our fun interactive trade show games, (and better manage your trade show giveaways with our Virtual Prize Wheel), feel free to contact us with questions or to discuss your event with one of SocialPoint’s Digital Strategists. We’ll help you generate a serious increase in excitement, crowds, and leads.